Maison Vitry has become a popular location for photographers and videographers alike. The setting found in this elegant, 19th century mansion has been preserved in its current state, versus being restored to a pristine condition. This has attracted photographers such as Richard Sexton, Ralph Romaguera, and Jacques Levet. 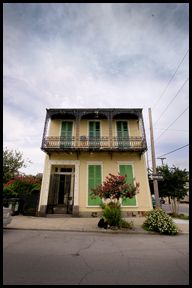 The home has also captivated film crews such as that in HBO’s hit series, Treme. Rates for photography and film sessions are negotiable on an individual basis and vary depending on a broad range factors. For a few examples of previous photography sessions, please click here. For all inquiries, please contact us (504) 298-8553 or louise@maisonvitry.com.